ahhhh all the turkey, stuffing, and cranberry sauce is sitting merrily in the tummy. And the thought of hitting the gym is far from everyone’s mind. But luckily, you don’t need a gym to experience a great workout. These exercises, recommended by fitness expert and celebrity trainer Amy Dixon, will hit every single muscle in your body and slash fat — without any equipment. So what are you waiting for? All you need are these exercises and YOU! You don’t need a gym to experience a great workout. These 10 exercises, recommended by fitness expert and celebrity trainer Amy Dixon, will hit every single muscle in your body and slash fat – without any equipment. So what are you waiting for? This exercise adds an element of power in the lower body that will get your heart rate up for a cardiovascular benefit and define the muscles in your lower body. Start in an athletic squat position and push off of your heels and jump up, land and immediately sink back down into a squat position and jump again. Most people only exercise in two planes: up and down or forward and back. That’s what makes side lunges so effective – they train you laterally. This lunge variation is a great addition to any conditioning plan because it will challenge your muscle fibers, tendons and ligaments in a different movement pattern. To make this exercise more challenging, add a side leg lift to the equation and feel your core kick in, too. This is one of the best exercises for you quads, hamstrings, glutes and core, and it’s one of the most challenging balancing exercises. Stand on one leg with opposite foot in front of you, and without setting the front foot on the floor, bend the standing leg and lower down into a squat. You can have your arms straight out in front of you for balance. Pause, then return to the start. Do all reps, and then switch legs and repeat. This is one of the best upper body exercises because it works everything – your chest, your back, your arms and even your abs! Make sure your shoulders line up with your wrists and you tuck your elbows in toward your side (so don’t flare your elbows out wide). 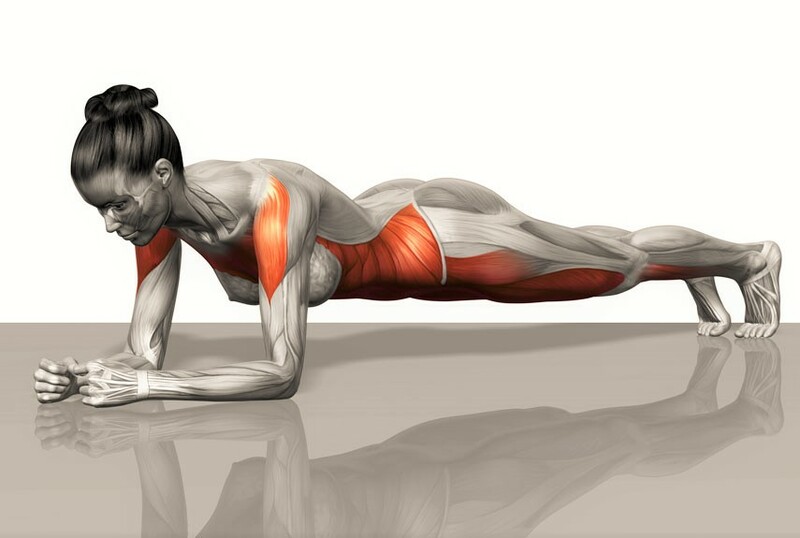 Try to get your chest and hips as close to the floor as possible without touching.